Period ﻿: 2014. 11. 20.~12. 10. Through the deeply personal histories and psycological spaces which are easy for people to pass with indifference, we can rediscover the area of Geumcheon and the history as a memory. Admittedly, a person’s life tends to interact with the ecology near the area and socio-cultural environment. Geumcheon Mrs. and her surrounding people also live together in Geumcheon. Therefore, the stories about how they have lived and how they would live become the face and story of Geumcheon. With what kind of memories do the personal histories of people living in the same area, regardless of whether they live near or far, exist all over the place? That is why, on ‘the night’ when no one can see anything due to the darkness and creative thoughts begin to be brought to life, we began to find the personal histories which no one has ever valuated and recorded before. The insignificant place where have no meaning for me, on the contrary, could be meaningful for someone and could have someone’s own unique story. And it is also the common space where we live the present. Excerpt from drawing N: No longer I’m I contained but I am outside and free to see how the world is constructed. Things that seem solid before turn out to be shells. Mountains are hollow. Buildings are facade. Nothing more then folded surfaces for utter appearances. If the world is a terrarium then the space where I am could be a room that hosts the terrarium. The room might be one of many in a big house. Like a box in a box ad infinitum. The room is abstract in its nature. Everything is surface and volume. There is no way in telling its dimensions. The panorama is spectacular. I walk on vast plains with ridges that fall sheer into incomprehensible depts. Big beamlike shapes protrude from the terrarium into the room. On some I can climb, others are high enough to pass under. 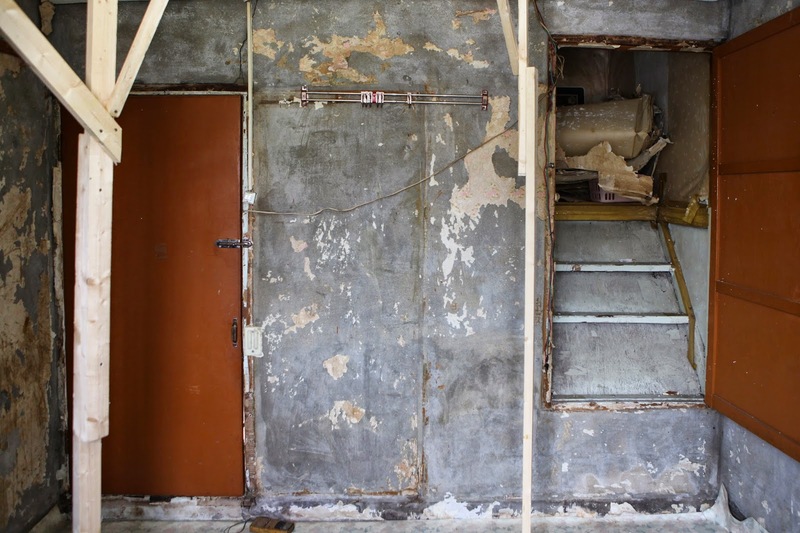 This work, ‘Lonely, Lonely Wanderer’ , examines and observes the traces left at the small room where the women workers lived near the Garibong Market in the old days, and the stories of the people living there. This work was motivated by the idea that we could bring about the artistic cognition in everyday life, rather than seeking and interpreting the art purely in the realm of art. We can also examine the people who lived there, the traces of the people working for composing and maintaining the space by the medium of the wallpaper put on the wall in the space. In addition, the history of the periphery through the personal stories and memories, too. 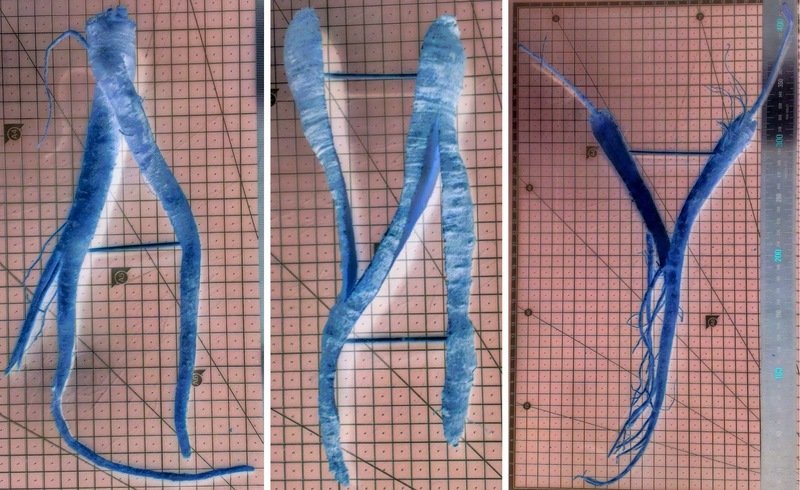 This project, 'Private but Non-Private' , has focused on the will and behavior patterns of the individuals who show their existences through projecting their own individuality in the repetitive and same ways to compose the space, especially under the circumstances of the urban environment during the modern economic development era. This work reflected the interpretations about the temporal living patterns of the Garibong-dong dosshouses, the spatial frame which is identical and repetitive, and the many trajectories which passed through the place in the context of history, culture, and time. And as a work exploring the aesthetic context of space and the energy of life, through the characteristics which each individual’s private spaces are overlapped, it also made the space having ‘the devices which protect the freedom of the individual’. keeping, consuming and changing cultural identities and technologies transforming the personal, cultural and physical landscape. The installation work develops underlying meanings dealing with the notion of otherness as the different, a paradox between rejection and appropriation between negation and affirmation. Those are processes involved in the encounter between different cultures and in this particularly case from my point of view between east and west identities in contemporary South Korea. The daily sketch/drawing which are planned to be presented without restriction (both in materials and the way of making) during the residency will become a way of record, reservation and restore. In this plan, I am going to record and reserve every moment via sketching/drawing while experiencing the lives in various fields. The body experiences could be recorded and filled into the gaps of our brain through the process of sketching/drawing. In addition, the images, sounds and even the odor could be transformed by eyes, nose, ears and hands and then inserted into the deep site of our memory during the sketching process which is powerful enough to overlay the photograph image reserved previously in our brain. Also I am planning to do the field investigation in Seoul which includes culture, environment, climate etc. Afterward, poems and prose will be created and display with ‘Sketching and Drawing Project in Seoul‘. The title of this exhibition was derived from Walter Benjamin(1892-1940)'s phrase, “to brush history against the grain”. Benjamin criticized the historicism for its presupposition of temporal continuum and predetermined progress. He argued that history as we know it has been nothing more than an account written by rulers or victors. Instead, he took it as his task to refute a history handed down by reading it ‘along the grain’ and discover a history of the losers, the oppressed, and the forgotten – an alternative version to be excavated as something new and filled with the urgency of the present. Not only as a simple metaphor but also an approach to research, ‘brushing against the grain,’ with its avoidance of unitary meaning, is applicable to the cityㆍcommunity research by the artists participating in this exhibition. The approach by these artists is intuitive, microscopic, and does not show a uniform theoretical frame, unlike the previous participants of community arts or urban research project of Seoul Art Space Geumcheon. This is perhaps because each artist’s inclinations are different or the ways of approaching the urban community are more various than before. More and more, we hesitate to identify community as the same but gradually accept it as something undefinable, something desirable only insofar as it didn’t realize yet. From this point of view, we are not in the position of subject who defines the community and objectifies it but of one in the process of being generated and unfolding into being within a community. The artists in the exhibition don’t define Seoul or Geumcheon easily, or identify those as a collective image, either. Rather, they seem intent to notice the invisible lives behind the familiar surface, invoke the forgotten memories, and read the city along the discontinuous axis of time and space mingled with the past, present, and future. They imbue the symbols share by the community with a new meaning and context, create a kind of inner map and re-collect the city’s fragmented image. And they also research a common residential area and recreate the spatial structure and interior of the place. As we share the memories, symbolism, and aspects of life excavated and recovered in the aforementioned way, at last the community can exist as the present and then we become the part of the community. Artist Marc Oosting is interested in the meaning and symbol-system of letters as well as the situations and forms presented by those. For him, the letters are a signifier, a material thing, and part of environment, all wrapped in one. The artist has cast the root vegetables symbolize Korean cuisine (i.e.Ueong, Doraji) into bronze and then transformed it into the acronym (the first letters) of a drawing describing his own poems. The process in which the organic has been transformed into text, sculptured changing its meaning and dimensions, complicates our perceptual habits. Juan Duque, who often describes himself as a ‘perpetual traveler,’ presents a site-specific installation combining the issues of identity and topography. Originally from Europe, he shows the personal impressions collected while living in Seoul of Asia as photos and clay installation. He questions the notion of otherness by showing both similarity and difference found in totally disparate environments. Furthermore, the process of installing the clay pieces is the same as the mapping process based on the psychological and cultural experiences of the artist. Liu Chih-Hung observes and collects the images of the city like a physiognomist. While we use a recorder or camera to document things, for him, the most appropriate way to record and collect is to quickly sketch what he saw or paint from memory on canvas. He never resorts to a technological medium such as a camera, trusting only his own body and memory because bodily experience is more significant to him than the accuracy of the record. 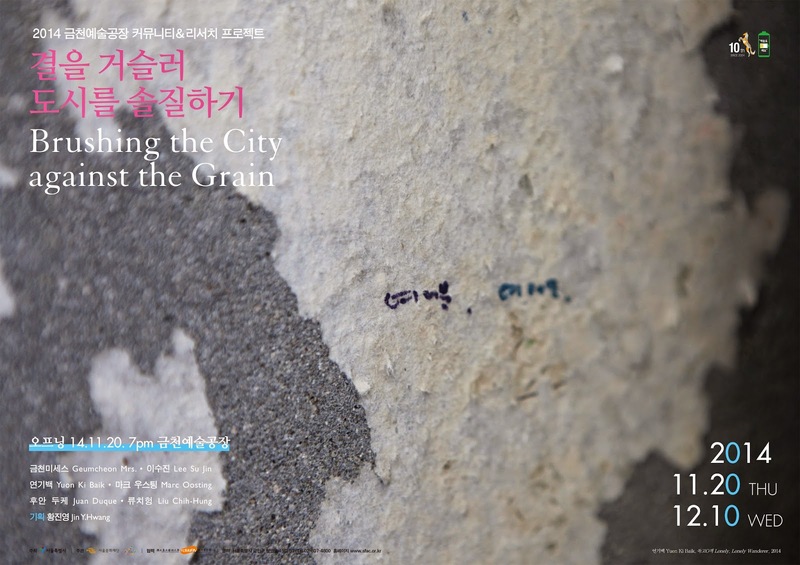 The various images of Seoul will be exhibited alongside with the poem written by the artist for this exhibition. 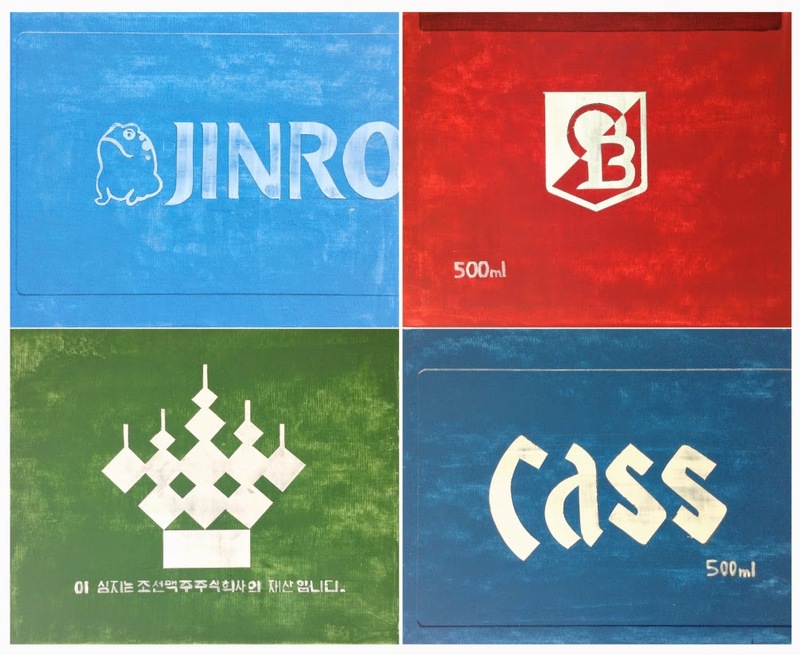 Artist Lee Su Jin has examined collective residential buildings, the so called ‘Garibong-dong dosshouses’. As a collective residential environment where the identical structures arise in a rather repetitive way, the private space of this place offers no actual privacy and the public space provides no meaningful communication or relationship. Nevertheless, the artist discovers traces of the inhabitants who have somehow resisted the fixed routines of their dull environment and who thereby refused to remain anonymous. 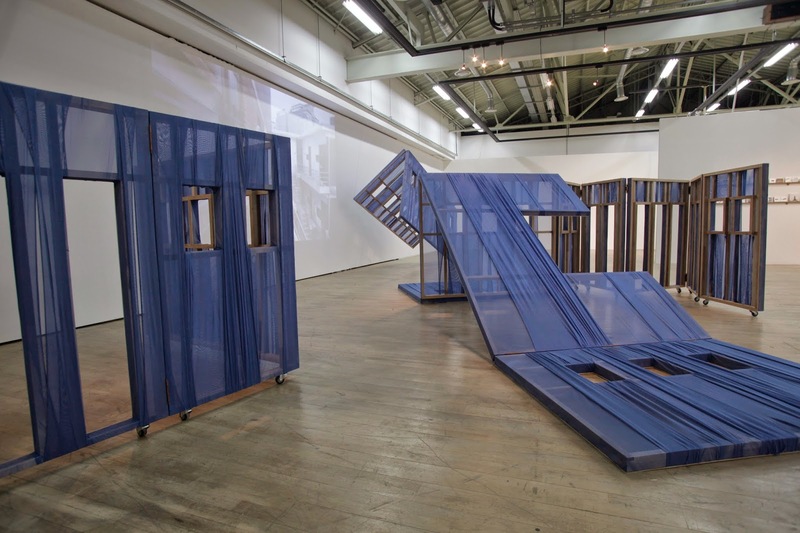 The artist dissolves the labyrinthine living space where they dwelled and then reconstructs it in a new form of site-specific installation work. While Lee Su Jin deals with the structure and space of a living environment, Yuon Ki Baik explores its interior and history. He invokes the memories and events marking the space by focusing on the medium of the 'wallpaper' on a room wall. As time passes and house residents come and go, new paper is glued onto the same wall layer by layer, often as many as eight in a row. The artist tears off the wall paper and separates it into layers, revealing the hidden traces of life, the scribbles, and the photos as part of new history of Garibong-dong. Geumcheon Mrs. is the community-based art project team organized by the local residents who participated in the creative workshops run by Seoul Art Space Geumcheon. They present themselves as a storytelling collective that gathers private or little-known Geumcheon tales and reels them again in this exhibition. At night they interview the neighbors about their most meaningful places in Geumcheon and set up sightseeing tours to visit the spots. The result of the project will be exhibited as sound art and installation work, reviving the tradition of oral narrative shared by the community. There are always multiple ways for the artists to dream and approach the community. I hope that this exhibition would provide another unique perspective on enriching the community & research projects by Seoul Art Space Geumcheon.